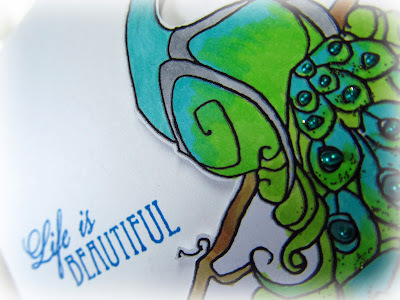 You will find this card on the Time 4 Scrap blog today. The original inspiration was Chinese New Year......the only thing I could come up with was something colorful. I loved coloring this digi using a picture on the net to get the colors right. There is glitter glue and Liquid Pearls on the feathers...to give the peacock a little something, something! I hope you will visit the Time 4 Scrap blog to see what the rest of the Design Team has for your inspiration and to play along with our Chinese New Year Challenge. I LOVE this peacock & how you colored him! Beautifully done! Love your coloring and the added sparkle. WOW! What a beautiful card, Penny! 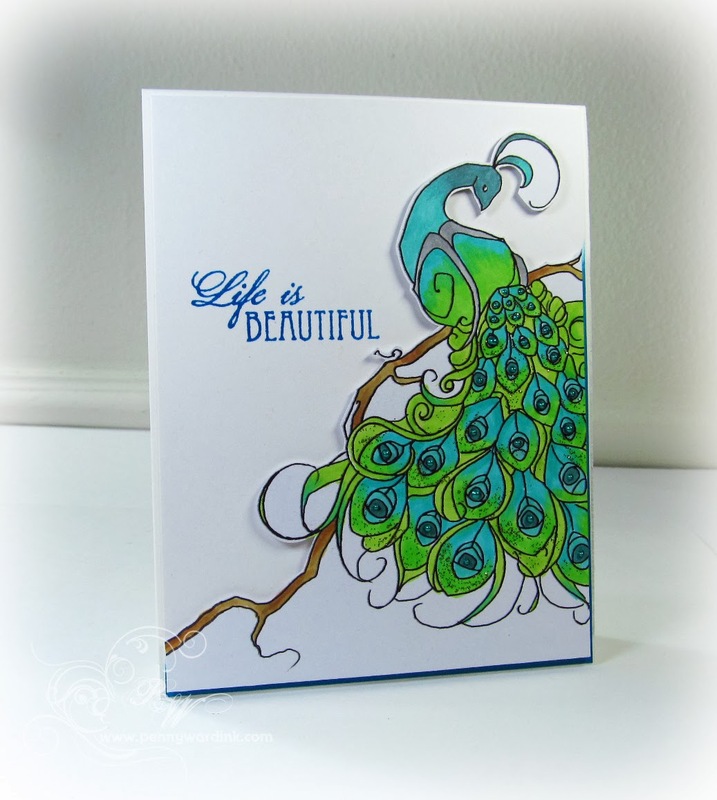 Gorgeous design and wonderful coloring! That is so beautiful Pen!!!! I love all the colors! Just stunning! It looks like you had a great time coloring too. Stunning is the word of the day for this card!! I am off to check out the rest of the beauties. Absolutely amazing & gorgeous, Penny! Ooh gorgeous. I have that digi but i forgot I had it. Need to use it after seeing yiur gorgeous take on it. Have a great day.